Honolulu is the capital and most populous city in the US State of Hawaii. 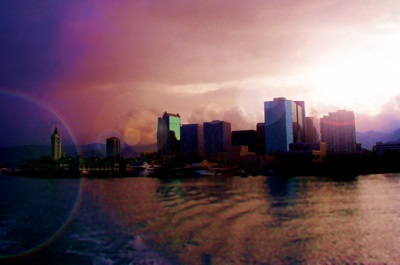 In Hawaii, local governments operate only at the county level, and hence the City & County of Honolulu encompasses the entire island of Oahu, however the urban area of Honolulu lies on the Southeast coast. As of 2006, the city had an estimated population of 377,357, and the metropolitan area had an estimated population of 909,863.